For over 125 years, Honeywell has been responsible for innovation and continuous improvement in consumer, corporate, and industrial products and technology. The quality of its solutions and technologies has been a driving force behind countless successful businesses. 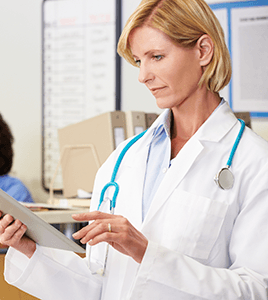 Whether you work in healthcare, retail, logistics, or any number of industries, Honeywell provides the barcode scanners, mobile computers and mobile printers that help your company achieve productivity and growth. DBK Concepts is proud to offer a broad selection of Honeywell scanners and mobility solutions that represent the most comprehensive portfolio in the industry. We carry purpose-driven mobility hardware for retail locations, distribution centers, hospitals, hazardous locations, and others. Plus, our close relationship with the manufacturer and our Honeywell knowledge makes us perfectly positioned to serve as consultants capable of modernizing your businesses while saving you money. Healthcare and medical: Among the many convenient features of refurbished Honeywell products for the healthcare industry, portable scanners allow doctors and nurses to instantly scan patients for critical health information while protecting their privacy and not exposing that data to any unwanted parties. 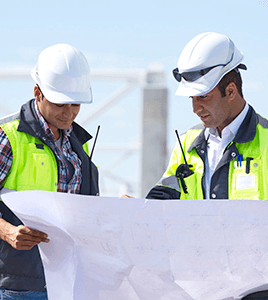 Field services: Working in the field is all about mobility, and certified refurbished Honeywell products from DBK Concepts will allow your company to control logistics from the field more easily than ever before, for areas such as data collection, routing services, and task allocation. 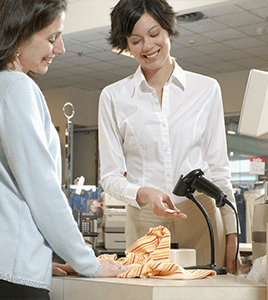 Retail Sales: Barcodes and barcode readers are standard equipment in today’s retail operations, and thanks to our refurbished Honeywell product solutions, you can afford to have the highest quality of both in your retail business. 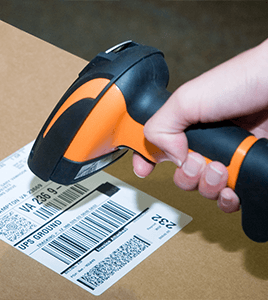 Logistics: Honeywell scanners, printers, and other mobility solutions will make it easy for you to streamline your logistics, as you can record, read and share information from just about anywhere along the supply chain. 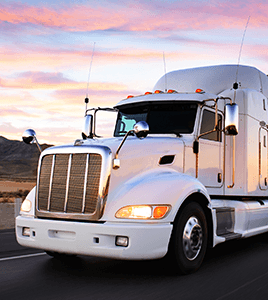 Trucking industry and distribution centers: If you work in distribution or trucking, you already know that handheld scanners and mobile computers are invaluable. Why not invest in the best scanning and mobility technology available? Refurbished Honeywell product solutions can make your inventory control, shipping, and receiving along with other elements of your operation run more smoothly and reliably. Honeywell products for the healthcare industry include facilities and operations, manufacturing and hospital infrastructure. Honeywell scanners in our inventory include the Xenon 1900 and Xenon 1902 scanners, Captuvo SL42h enterprise sled for Apple iPhone5, the durable and accessible Dolphin 7800HC, and the larger format Dolphin 99EXhc handheld computers. Honeywell scanners and mobile terminals for field services represent the best in durability and advanced capabilities. Our line of handhelds for field services ranged from the rugged Android-compatible CN51 handheld with 4’’ display to the Captuvo enterprise sled for Apple products. We also offer the Dolphin 7800, 70e Black and D60 handhelds to tackle a variety of fieldwork applications. We carry the Honeywell scanners and hand-held devices capable of revolutionizing your retail operations. Choose from the simple and inexpensive Dolphin 6110, larger screen CK3X with alpha numeric keyboard, Captuvo scanner, credit card reader and mobile device for iOS products, and the ultra-rugged Dolphin 70e Black scan phone. Modernize your logistics department with the latest Honeywell handheld technology. We carry the UPS- and USPS-compatible Dolphin 99EX handheld computer, the durable CN51, the Dolphin 70e Black rugged scan phone, and the ultra-rugged CN70 with WEH 6.5 and 3.5’’ display. Honeywell scanners and mobility products bring modern efficiency to the trucking industry and direct store delivery (DSD) operations. We carry an assortment of barcode scanners, mobile computers, vehicle mount computers, and complete software and unified system solutions. Unlock the efficiency of your distribution center with a selection of Honeywell handhelds, tablets, desktops and more. Our Honeywell consultants will point you to the most efficient tools and technology available in our inventory. Honeywell RFID-capable scanners and handhelds are built to deliver radio frequency identification (RFID) and automated data collection. We have a variety of products for real-time item inventory and advanced data collection that help maximize your profitability. Why Use Refurbished Honeywell Products for Your Business? Although we at DBK Concepts offer refurbished scanners and electronics from a variety of top brands, we're extremely proud to be certified Honeywell product distributors. By offering you used Honeywell products that function like new ones, we can help you streamline your organization with some of the best scanners and handheld electronics in the business at prices that are sensitive to your budget. But what's so special about our refurbished Honeywell product solutions? What sets Honeywell apart? First, Honeywell is a Fortune 100 company that boasted over 40 billion dollars in sales each of the previous two years. You don’t get to that level of growth without making the highest quality electronics products. Secondly, the company has a history that dates back more than 130 years. They've seen the very beginnings of scanning and handheld technology, and they maintain a level of experience that can rival anyone. The company is also a socially responsible one that has committed resources to increase access to potable water in India and helped rebuild schools in China after the Sichuan earthquake. Honeywell is consistently leading the way in innovation and product development with products that reach an incredible array of industries. When we refurbish a Honeywell product, we know we're working with the best, and we know that that means you can rely on the product too. We can’t wait to provide you with reliable, affordable refurbished Honeywell electronics for your business. Shop our complete selection of Honeywell scanners, handhelds, and electronics — or contact DBK for additional information. We have the essential modern technology for industries ranging from retail and warehousing to healthcare and medical. Our cost-effective product solutions and insightful Honeywell consultant services provide the technology your business needs to compete in the modern marketplace.